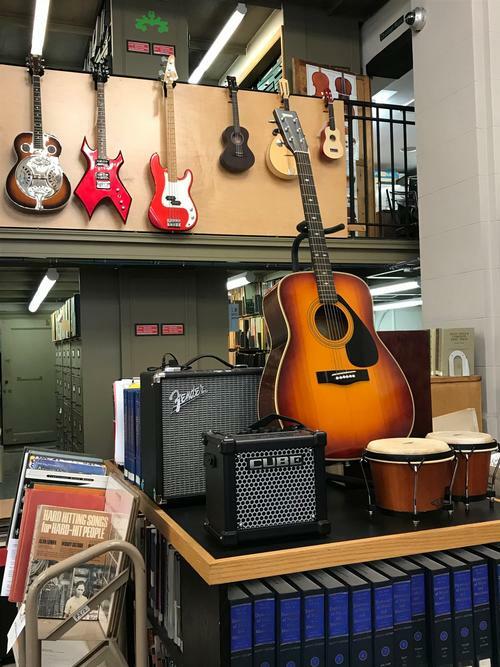 The Free Library’s Musical Instrument Collection (MIC) celebrated its second birthday back in September 2018 and our collection keeps rolling on! It’s been a big 2 years for the MIC, culminating in a Philadelphia Magazine's Best of Philly Award for "Best Reason to Go to the Library", coverage from WHYY's Newsworks, Philadelphia Magazine, Philly Voice, Philly.com (now behind a paywall, but you can always access content with your Free Library card and selecting Philadelphia Inquirer from our Databases), Temple News, Library Journal. and the Philadelphia Metro. We’ve extended a helping hand to organizations and libraries who’ve wanted to set up their own instrument lending programs including the Brooklyn Public Library, the Fort Erie Public library, libraries in Canada, nonprofits in Massachusetts, and more. Shored up by donations, the original six instruments were first augmented to more than 40—then, taking a few thousand dollars out of our print budget, we pushed it to 50. The easiest way to see the spread is through our online catalog. Simply click Catalog, then under Browse by Format, click the Musical Instrument link. Like other treasures in the Music Department, such as the Chamber Music Collection and the Fleisher Collection, a call or email to the Music Department is still the best way to place a hold. If you want to see the origin story of the MIC, how to supplement your instrument with resources from the rest of the Free Library’s collection, and some background on how to start instrument lending in your own library, read our introductory blog on the roots of the program. You should also read our Conditions of Loan, linked to every instrument record. Patrons have checked out instruments hundreds of times since we started, and what has our City of Music produced? Most musicians who checked out a Free Library instrument either listen to music or play instruments already—which was surprising!—we didn’t have as many risk takers as we thought, rather, our borrowers already came to us with some musical knowledge. Folks who used the collection, for the most part, already played instruments or were in a band. We were impressed by the number of folks who wanted a trial of these instruments before they bought one for themselves. Many MIC borrowers were already regular library patrons. When we started the MIC, one of our goals was to engage new folks who haven’t used our collections before, especially in those communities of music who could benefit most from the library, such as folks who were trying to break into the music business. To make music is to love music! We weren’t surprised that folks who used the collection often got out to see concerts and shows in our city of music fairly frequently—at least once or twice a month or school term. Most patrons played instruments a few days per week. This covered both when we were lending instruments the same amount of time as books (three weeks) as well as renewals. 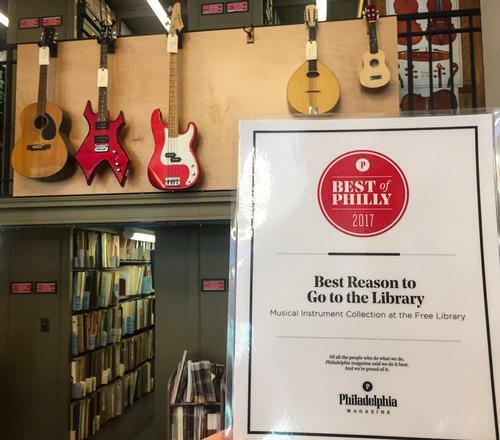 Since Philadelphia’s libraries hold everything you need to start playing, including beginners methods, advanced scores, books about the instruments, listening guides, and biographies of famous players, more than half our borrowers took out resources from the Music Department. We had quite a few musicians who were playing for the first time or learning the basics. Many played music with friends, made up a new original song, and performed for family, friends and community. 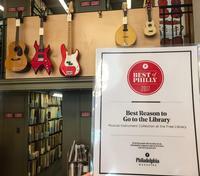 Borrowers also used the Free Library’s instruments to augment their sounds, plugging guitars into pedals and laptops to make new collaborations. We're happy to say we’re already on the way to making the collection more accessible with our first left-handed instrument purchase, in addition to more student-scale instruments with smaller frames. We’re still working on lending instruments to locations besides Parkway Central Library and recently completed our first lending duet with the Free Library's Homebound Services. One more bump in the road was that we had to stop taking wind instruments and brass instruments due to mouthpiece management. Other libraries have been able to stem this situation by offering disposable plastic mouthpieces. Lucky for us though, the instruments we’re getting the most of are the instrument the people indicated they wanted the most - string instruments. We’ve had a donation or two of keyboards as well. For our last question, we asked folks on a scale of 1 (definitely decrease) to 5 (definitely increase) if the MIC would spur them to use the library more. Thankfully, most folks who checked out instruments said they would certainly be using the Free Library and the Music Department more! A public library is a place where the folks in the community who need or want resources can pick them up for free. This extends to Philadelphia’s robust community of musicians, who’ve been checking out instruments, free of charge, for two years now. The MIC wins Best of Philly! I have a acoustic Yamaha guitar. Tuned, excellent condition. I would like to donate for someone that would put it to good use. Thanks for thinking of us, Todd! We'll email you. This is a brilliant program. I pray it continues for generations to come. Do you accept donations? I have a couple of starter guitars and a keyboard. 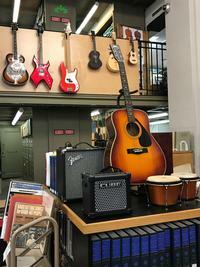 Add a Comment to The Free Library’s Music Department Celebrates Two Years of Instrument Lending!